Kick Off: 7:45 PM McKenna 7. 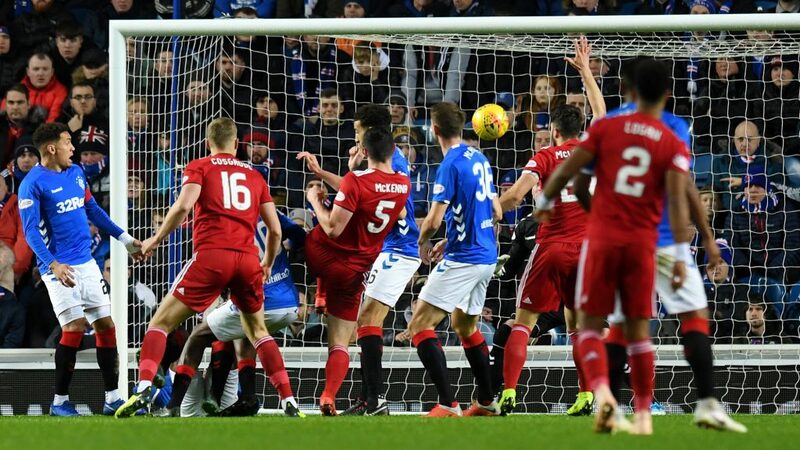 A quarter of an hour in, Rangers had a free-kick about 35 yards out, in a central position but Cosgrove was again there to head clear. Big Sam had been heavily involved in the early stages and, in the 17th minute, he got on the end of a Lowe cross but his header looped up and it was an easy catch for McGregor. Some 20 minutes in and there was a good break by McGinn down the left. His cutback found Shinnie but he was eventually crowded out. A minute later, Rangers had a free-kick in a much more dangerous area but Logan, who gave away the foul, headed clear. A minute after that, Morelos was almost in but McKenna hooked the ball clear ? the referee gave a free-kick against the Rangers striker anyway. 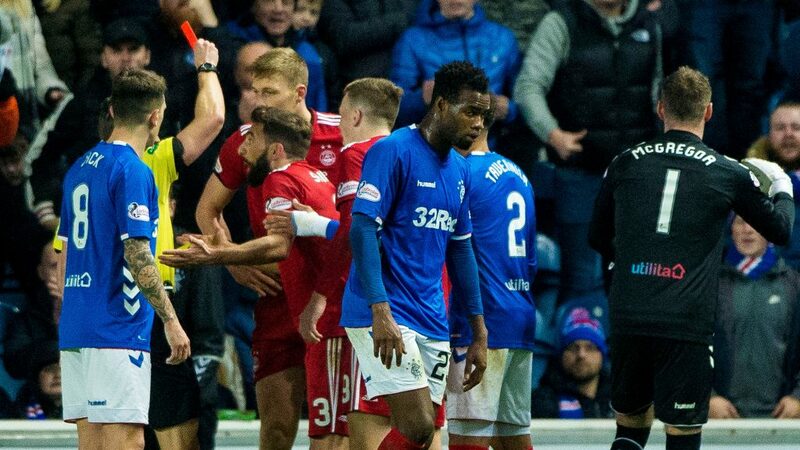 Aberdeen were continuing to defend well but on the half hour mark, Coulibaly got on the end of a free-kick ? thankfully he failed to hit the target as he probably should have done. In the 40th minute, Middleton forced a brilliant save when from Joe Lewis when his low shot was tipped round the post. From the resulting corner, Morelos lost his marker but his header landed on the roof of the net. 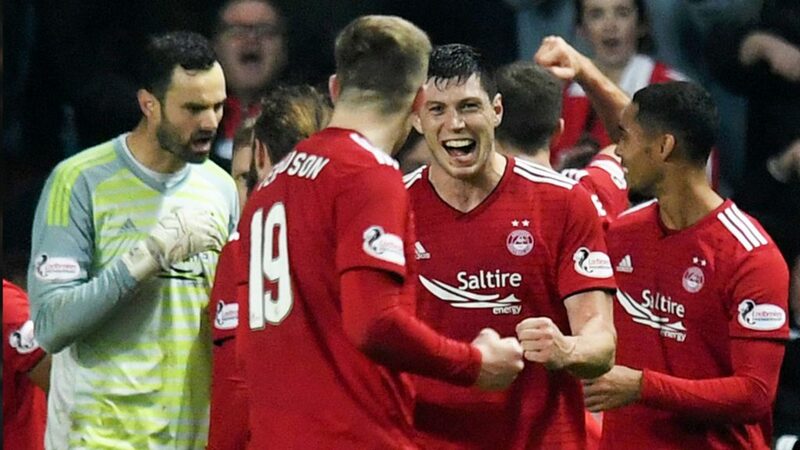 In the 43rd minute, there was a dangerous free-kick for Aberdeen as McLennan relived some of the pressure. Shinnie?s ball in was headed clear and Candeias should have done better on the break. Rangers Teamsheet: 01.McGregor, 02.Tavernier, 36.McAuley, 06.Goldson, 15.Flanagan (11.Lafferty 46), 08.Jack, 21.Candeias, 23.Coulibaly (35.Grezda 52), 10.Ejaria, 40.Middleton, 20.Morelos. Unused Subs: 03.Worrall, 13.Foderingham, 16.Halliday, 17.McCrorie, 18.Rossiter. 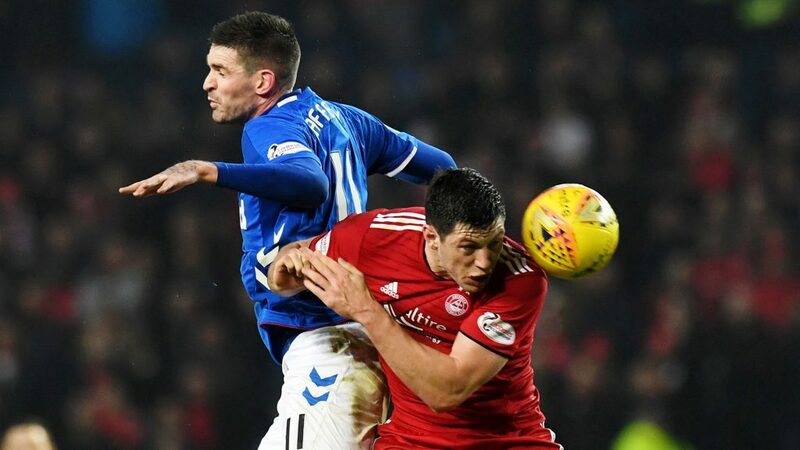 Bookings: 01McGregor (89), 11.Lafferty (49), 20.Morelos (45+2, 64). 20.Morelos (64). Aberdeen Teamsheet: Lewis, Logan, McKenna, Considine, Lowe, Ball, Shinnie, McGinn (Wright 83), Ferguson, McLennan (May 73), Cosgrove. Unused Subs: Gleeson, Wilson, Campbell, Anderson, Cerny. Bookings: Cosgrove (10), Cosgrove (34), Shinnie (53), Cosgrove (34).